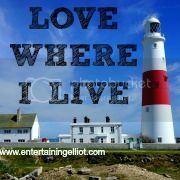 Despite living in Dorset all my life, there are still some local attractions that I have never visited. 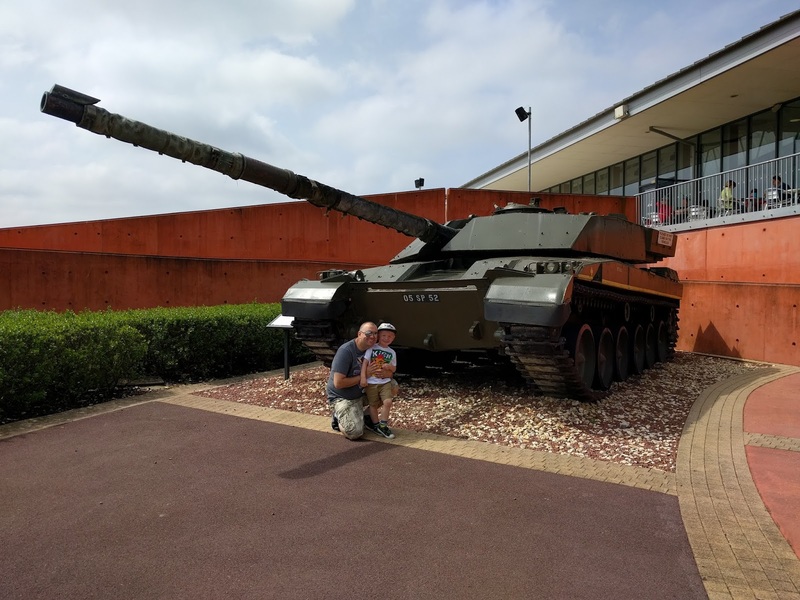 One of these is The Tank Museum, located in Bovington Dorset, a museum where you can find the World's best collection of tanks! Located just 12 miles from my home town of Poole, the museum is sign posted and easy to find. 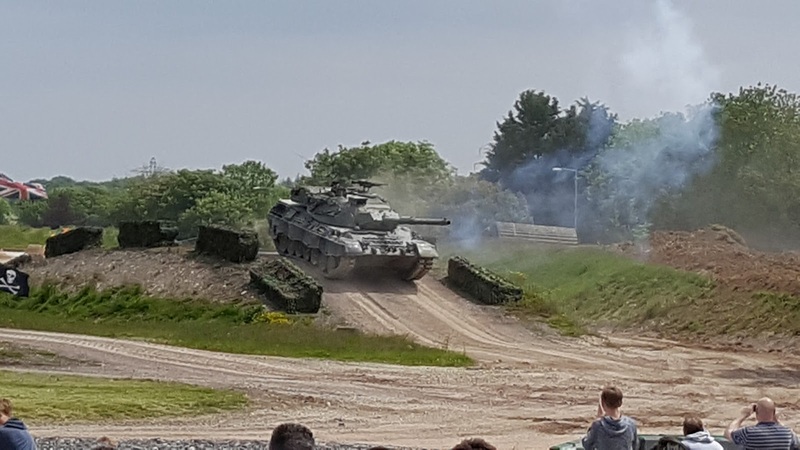 You start seeing tanks and military signs as you arrive into Bovington and you know you're in the right area! 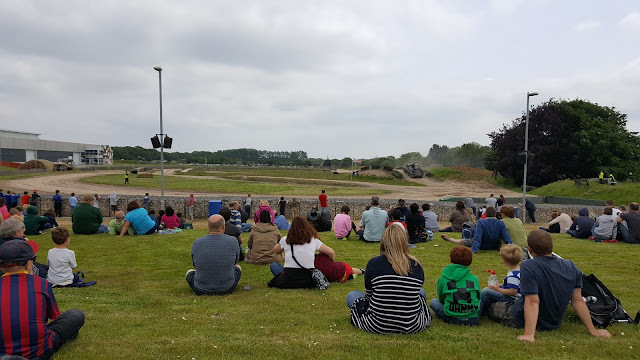 We visited on a bank holiday Monday and the car park was already pretty busy when we arrived but the museum is so large that the crowds weren't really an issue. 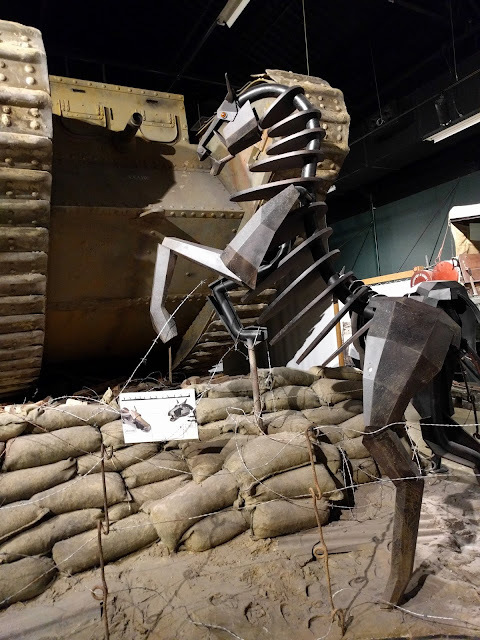 I really enjoyed walking through the Warhorse exhibition and found it really moving. I discovered that approx 1 million horses were used by the British Army during the war and only 60,000 made it home. 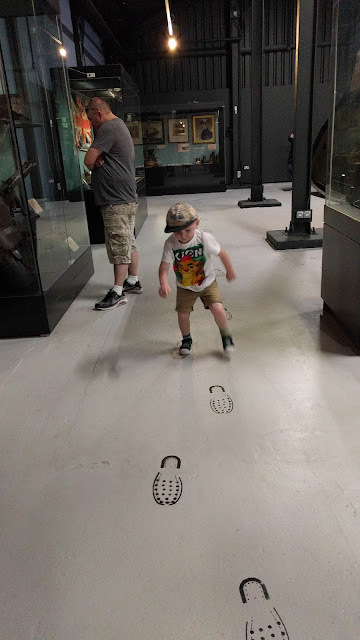 This exhibit was really good for Elliot because it's very interactive with lots of things to see and buttons to press! I loved the metal horses which reminded me of the puppets used in the Warhorse show. And it made me want to watch Warhorse again! The Trench Experience was another favourite although it did give me goosebumps and I was keen to get through it as fast as possible!! I had been warned that it might not be suitable for young children due to the noises but Elliot wasn't at all phased. 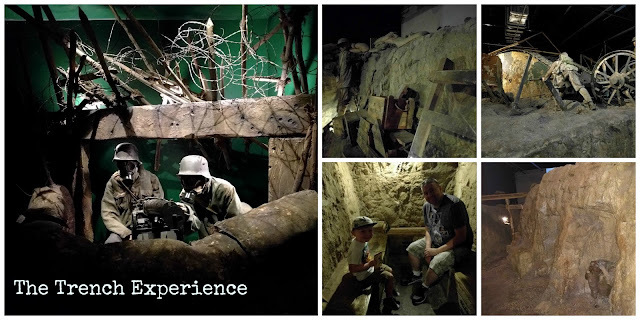 You really get a sense of what it was like for the soldiers of World War One with the smells, the noises, the claustrophobic conditions. 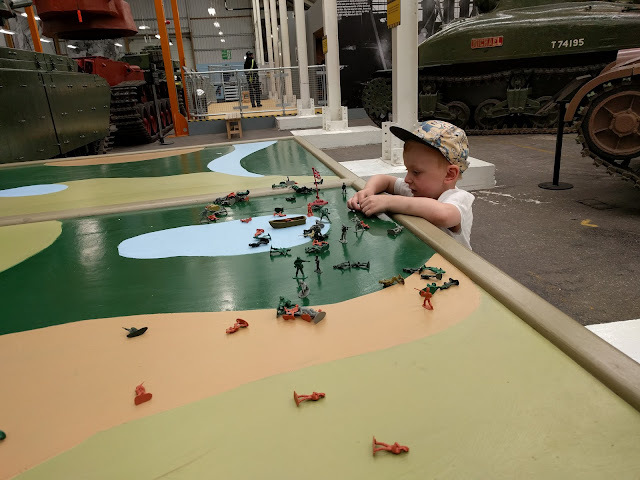 We even found some low tables with toy soldiers and tanks and this was really popular with the children, Elliot loves playing with figures so I think he could have stayed here all day! 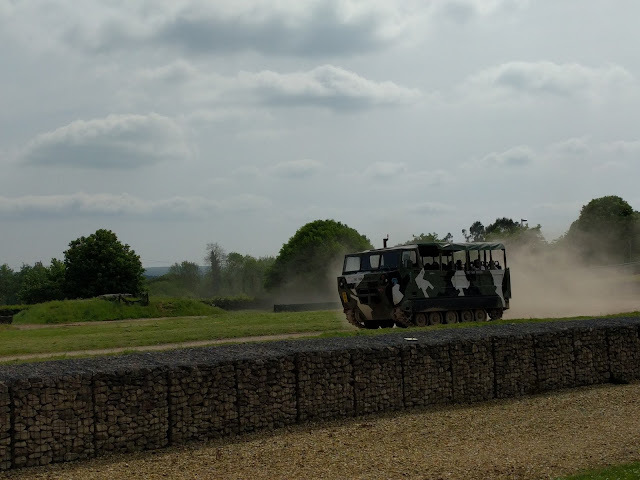 After the display we headed for the cafe for a bite to eat - us and everyone else had the same idea so it was very busy! There was lots of choice on the menus and everything was priced reasonably. My husband and I had a big pasty each (ooops, naughty!) and Elliot had a kids box which you could pick different items. There was plenty of seating in the cafe, plus the grass outside is perfect for picnics on sunny days. You will definitely need a full day to experience all the Tank Museum has to offer. There is just so much to see and we spent another few hours exploring the other exhibitions after we had stopped for lunch. Elliot even got to have a go on one of the tracked vehicle rides which he really enjoyed! All in all the Tank Museum is a really interesting, fun day out for families of all ages - it is the kind of place that has something to appeal to everyone! If you're ever in Dorset, I'd definitely recommend a visit! How fab is that! What a day out! I'll bet Elliot loved a ride in a vehicle! It's ace that a day entry converts to an annual pass. It looks lots of fun here.